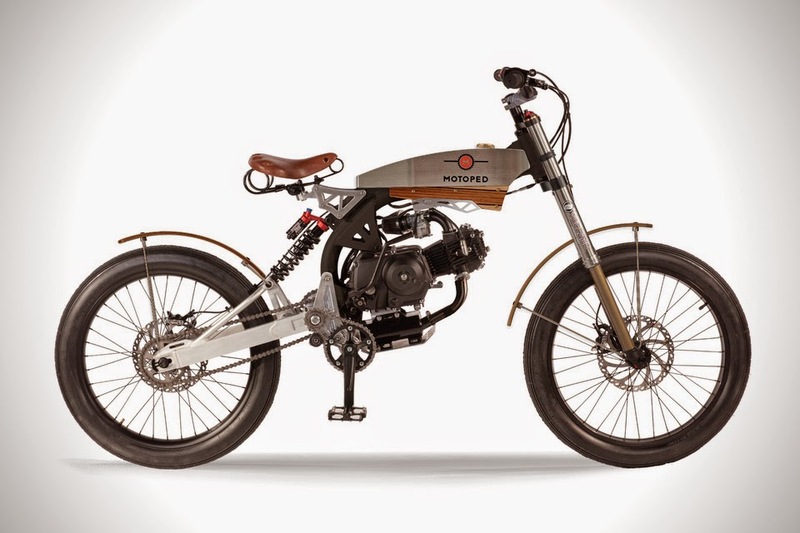 With the versatility of a moped, the styling DNA of a motorcycle, and the DIY ability of a bicycle, Motoped aims to stand out from the crowd. We think it’s got a good chance. 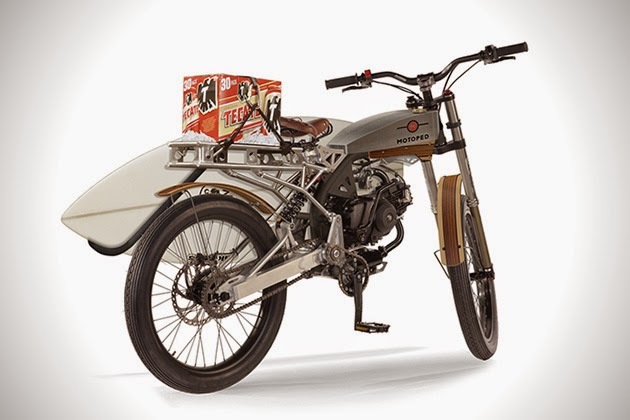 When its 49cc engine-powered, you won’t be breaking any speed records, but you will be able to get between 150 and 200 miles on just one gallon of gas. If you’re in need of exercise, pedal away. 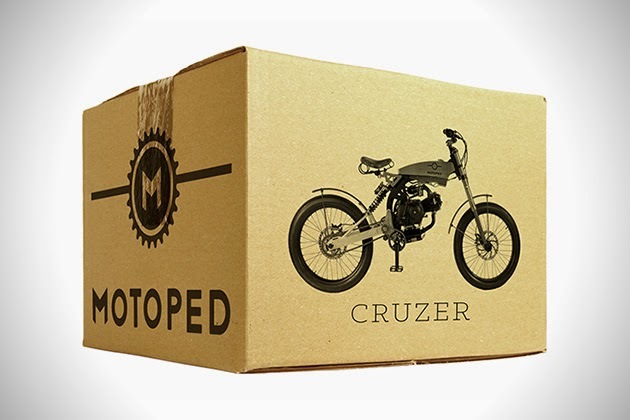 Modeled after the board-track racers of the early 1900s, the Cruzer features an elongated brushed steel tank, billet aluminum and brass accents, genuine wood fenders, and a comfortable spring-seat wrapped in bomber-jacket leather. 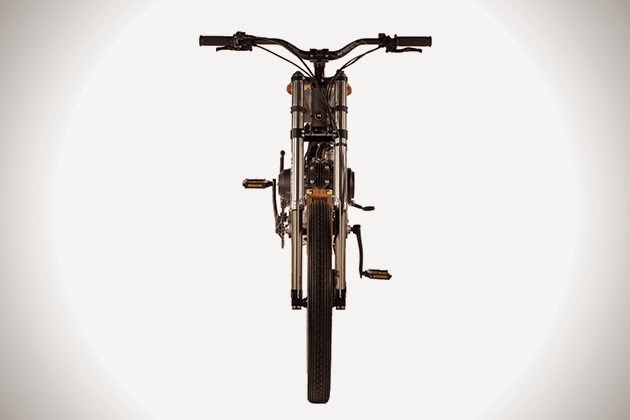 Other features include 165mm square tapered aluminum crank arms, real wood fenders with matching tank trim, a 1.3 gallon brushed stainless steel fuel tank, and a double heat treated 6061 aluminum swing arm.